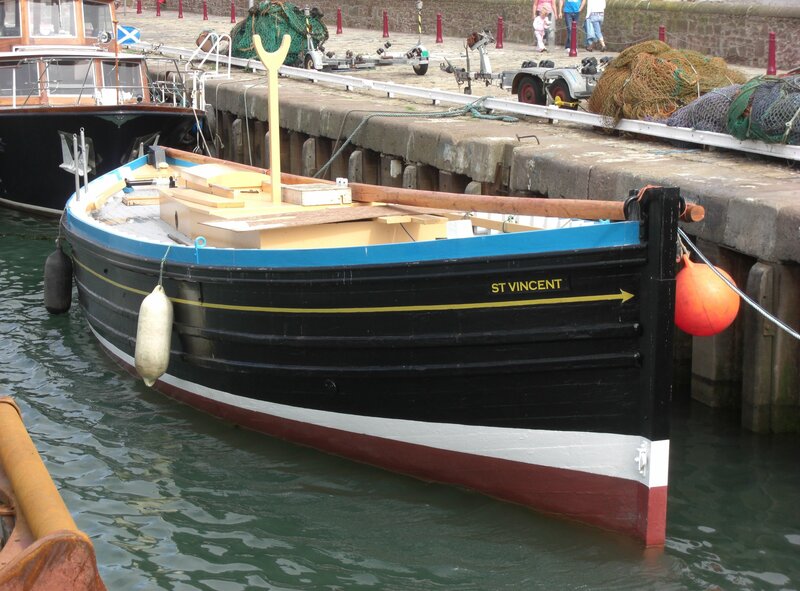 Built in 1910 by Stephen of Banff, ST VINCENT is a sailing drifter of timber carvel construction. 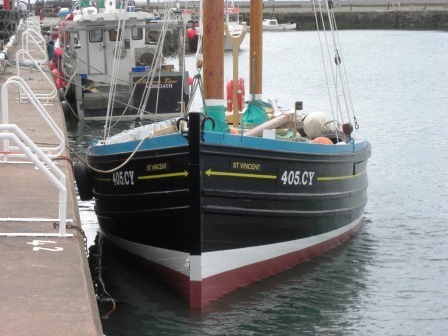 Her current engine is a Perkins diesel model 6.372. 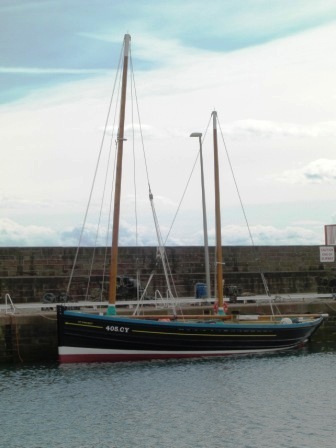 She worked in Scottish waters for many years, first at Eriskay, then at Wick, followed by Cullivoe, Shetland. 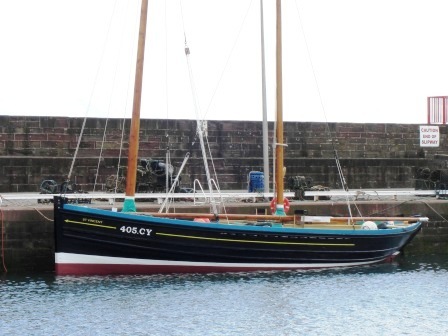 In 1975, she left Shetland for Grimsby where she worked as a trawler, owned by Sidney Carlton. 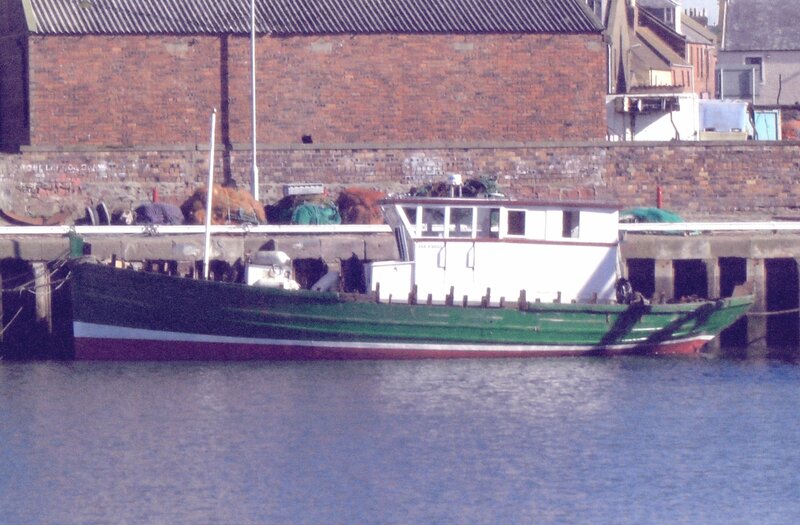 In 1980, she moved to Lowestoft, owned by Brian Tubby and continued fishing until the late 1980s. 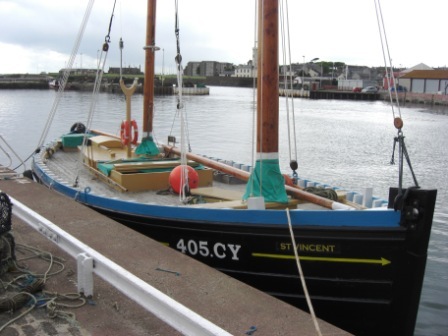 She was converted to a pleasure vessel thereafter and at some stage ended up in North Shields named NAUTILUS. 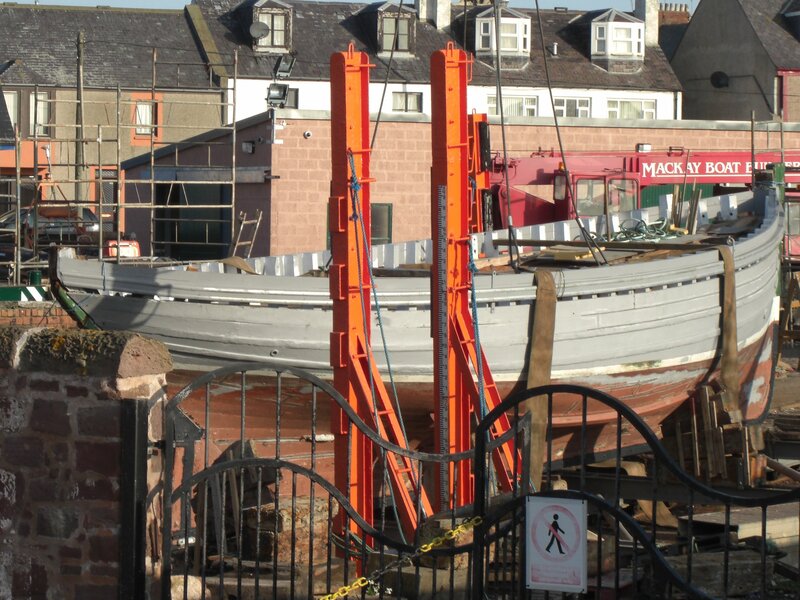 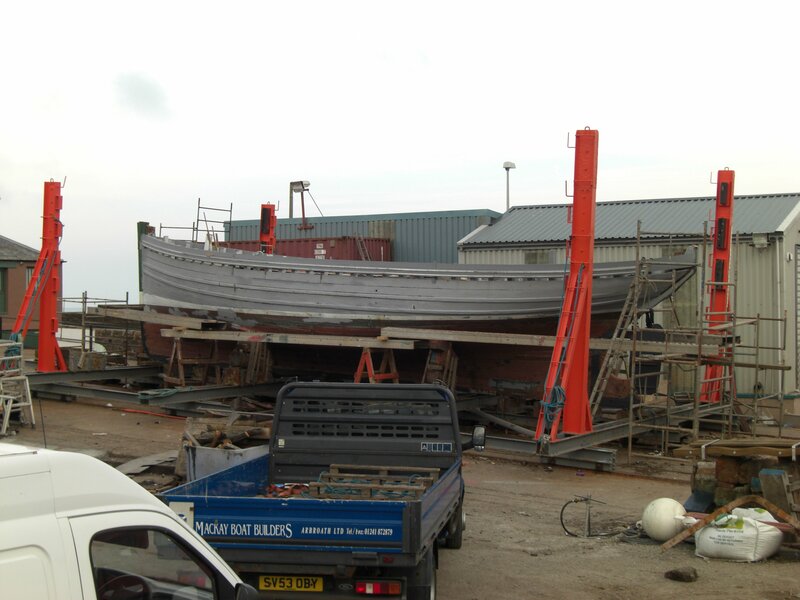 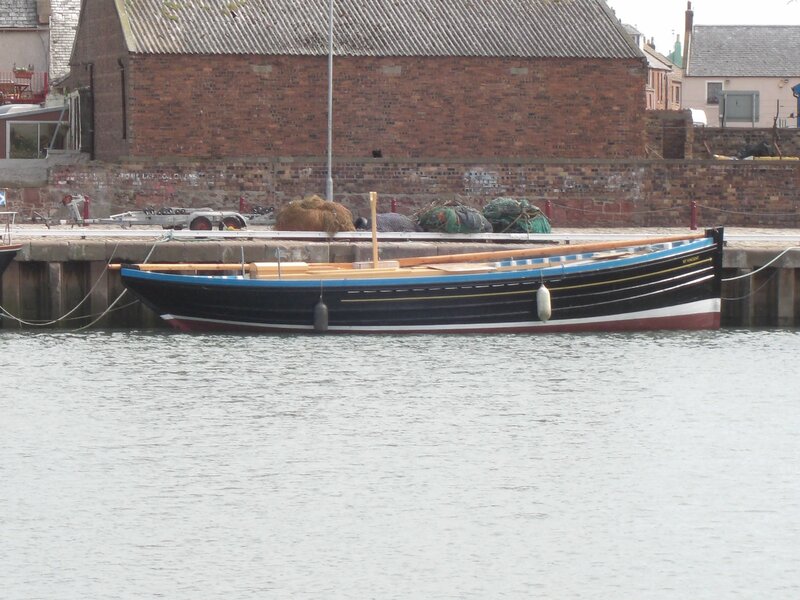 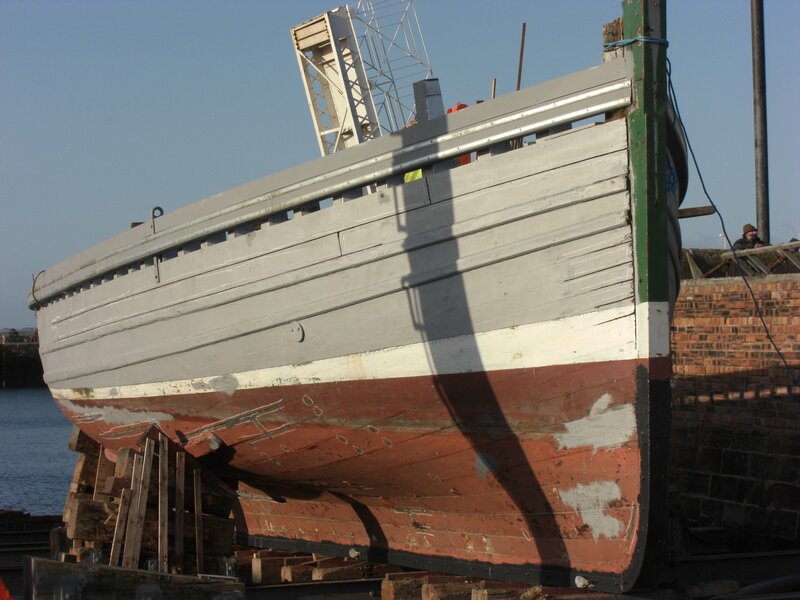 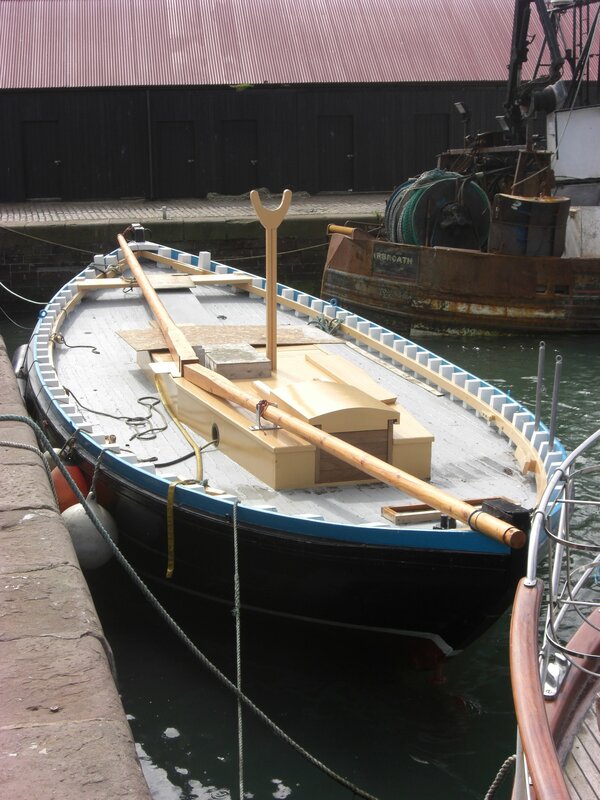 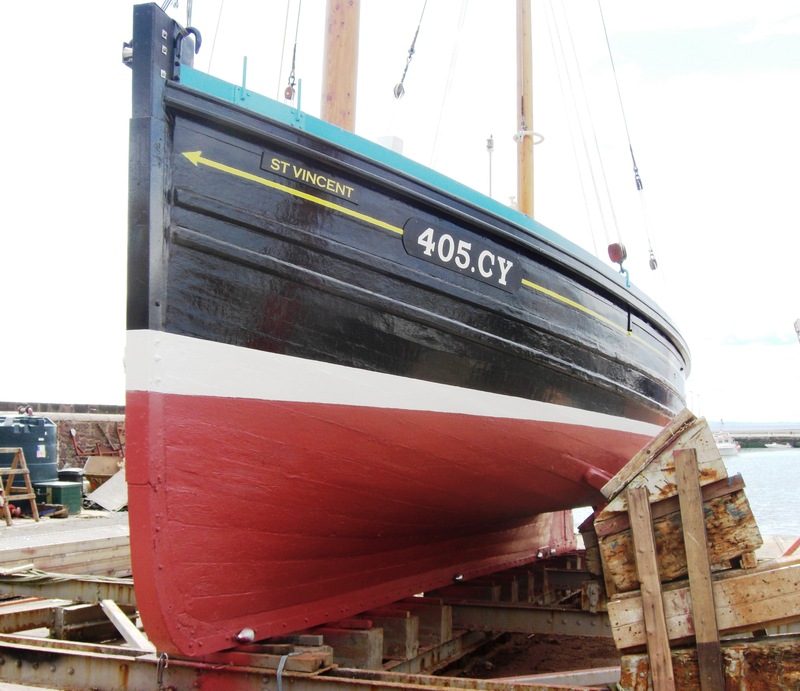 She was brought north to Arbroath by her present owner in August 2007 for restoration which was completed in 2010 and she is now lying in Arbroath.